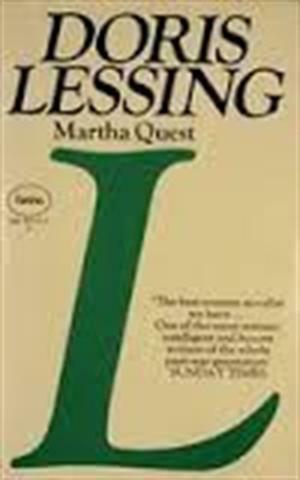 by Doris May Lessing | Literature & Fiction | This book has not been rated. "The generation that was born of one world war and came of age in another - these are the children of violence whose abrasive relationships with their elders, with one another, and with society as a whole are here brilliantly understood and depicted. Martha Quest is a true daughter of her century - the quarreling century in which the conflict between the generations reflects the conflict between old systems and new, between ascendant and ascending nations and races. Marthas personal history mirrors the convulsions and aspirations of our time: the successful rebellion, freedom and its tragic failures, and finally, despair transmuted into a relentless determination to understand life, and through this understanding discover a way to live." I love Lessing's writing, and I have not read this one before. Doris Lessing is one of my favourite authors, and I've therefore read quite a few books by her. The first part of the book is set on the farm where Martha lives with her parents. As many of Lessing's books, the British farmers are not very successful, even so, they are still full of airs. Martha struggles to find her way of life on the farm, with the natives, the Afrikaans, and the Jews. I rather liked this part. The latter part of the book finds Martha in town. Where her struggle is of another kind. This part of the book did not appeal to me as much, as I do find it hard to sympathize with egocentric youth. However, I'm glad I picked the book up from the buffet table. Thank you for sharing. One of Betty's kittens arrived to me today. Thanks!